Sierra Madre, or the “Village of the Foothills” is located in Los Angeles County, California and is both picturesque and a thriving business city. The downtown area is full of shops and restaurants and a historic gourmet company that is famous for making olives, jams and syrups. Outside the city limits lie smaller communities amid the Sierra Madre Canyons and plenty of beautiful trails and lush vegetation. The perfect mix of country and city is what brings people to Sierra Madre and why the city has increased housing and residential areas. Many of the residents in Sierra Madre live in apartments, HOA and multi-family homes. The city makes it a priority to provide aesthetically pleasing designs for the buildings so it is important for structures to be properly maintained. Many of the properties experience roofing problems, as with most residential developments because time eventually causes wear and tear. With roofing being such an important part of a home’s appearance, it is essential to keep it in optimal condition. Some household projects are ideal for you to handle alone, but roofing is not one of those. This is a task that is best handled by professionals so if you are having any problems you need to contact a roofing contractor right away. 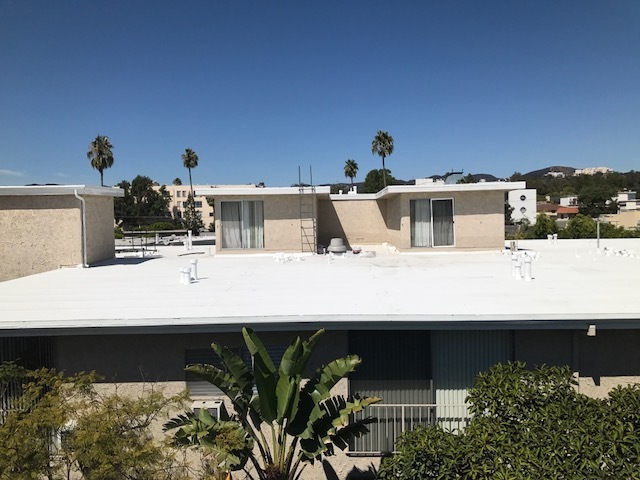 We offer many services such as installation, repairs, maintenance, emergency service and we also can take care of gutter systems, shingle restoration, waterproofing and custom roofing projects. We have experience dealing with many structures, styles, and designs of roofing with single-family, multi-family homes, HOA and apartment complexes. We are able to work with many roofing materials including metal, EPDM roofing, TP roofs and flat roofing systems. Our roofing contractors are experienced with any type of roofing project you will need and we provide high-quality service every time. We come to your house and perform a complete assessment of your roofing condition and then provide a full estimate and recommendations. We can start projects at your earliest convenience and will get done in as short a time possible so as not to disrupt the building tenants. We value our customers and make it a priority to develop and sustain working relationships so your satisfaction is our main goal. Our team is highly trained and professional working well with HOA boards and individuals. For any roofing need or project, contact us today.